Tax Avoidance and Tax Evasion - What is the difference? Tax Avoidance and Tax Evasion - Are they both bad? In this article we explore both Tax Avoidance and Tax Evasion and discuss how HMRC have twisted the Term Tax Avoidance to create a negative spin that leaves us fearful of using legal Tax Avoidance schemes. Tax avoidance, two simple words which combine to produce an instant image in the mind of each and every one of us. Tax avoidance has traditionally been a negative term and has found itself at the panicle of political spin since 2009 when the banking engineered recession came to the boil. The UK Government have been driving at recouping the lost millions from the tax coffers and HMRC have been placed under increasing pressure to target Tax Avoiders. You could argue that the government energies would be better spent forcing stronger financial control and tax return streams from the bankers (and I often do) but it is clear that the government have shied away from that avenue, the bankers have escaped the noose. But let's be fair Tax Avoidance is, by definition, The arrangement of one's financial affairs to minimize tax liability within the law. 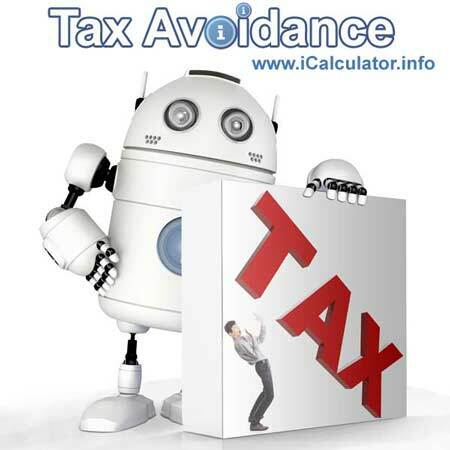 Unfortunately, tax avoidance is often confused with Tax Evasion, now that is naughty!. Tax Avoidance schemes exist because our predecessors took actions to make the tax system fairer, ensuring that when certain tax and earning thresholds were achieved that we, the tax payer, could decide how and where to put our earnings. Sadly most of these tax avoidance schemes are hidden away or not promoted publicly as it doesn't suit the tax man to have informed tax payers. In fact a confusing tax system with loopholes and confusion is the optimal state for tax collectors. Confused people complain less as they fear being wrong and heavy handed tax fines for mistakes. It is this reason that sees millions of us overpaying tax each and every year. so that the expected costs, difficulties and risks of attempting avoidance outweigh the expected potential gains. The pressure on HMRC remains however and it is clear that they are focusing their efforts on the individuals rather than corporate avoidance (Google, Starbucks and the rest of the gang). HMRC's position following the First-Tier Tribunal decision in the case of Reed Employment Limited is interesting reading and is a clear sign that HMRC is rolling up its sleeves for battle - that's great, it will be good to see unscrupulous MSC's and Umbrella Companies held to account. There are plenty of good compliant umbrella companies out there, sadly there are some edgy umbrella companies as well (with interesting references to the big boys suggesting that the smaller umbrellas are the more compliant operators). Well, that's great, but in this article we will be looking at Tax Avoidance and what it really means. Let's be honest, NO ONE likes paying tax. Okay, there are those who firmly believe in the Social Security System (I'm a big fan myself, though feel the current system is corrupted and communicates the wrong message - not working should not be a lifestyle choice! ), there are those who hate the system but love the NHS. Most Brits like to moan, it's part of our culture and let's face it, there is plenty to grumble about in the UK economy at the moment and hey, we pay, so we can have our grumble, right? But tax avoidance, it's dirty right? Absolutely not! Legal Tax Avoidance is perfectly acceptable and should be encouraged. We all pay our way, so why overpay? Confused? Didn't you know you could avoid tax legally? That's no surprise. The UK tax system is a mine field, it's deliberately grey to facilitate maximum confusion, most HMRC staff don't fully understand all tax law and loopholes. That's not a dig at the HMRC folk, I find them pretty helpful these days (pre-2000 was a different story, they have come a long way). Complex tax laws keeps people in business, accountants, lawyers, HMRC and the plethora of payroll systems and payroll software solutions that are available online these days). The truth is that most of us don't know exactly what we can do to avoid paying unnecessary tax. HMRC are great at telling us that there are thresholds when we will pay more tax, lose working tax credits, lose family tax credits, lose family allowance but what they don't tell you is that there are way you can avoid crossing these thresholds and still earn the same money and access the tax allowances. One very simple way is via salary sacrifice, putting some of your earnings into a pension scheme pre-tax could keep you below the earning threshold that mean 40% tax and increase your nest egg for later on in life. Even if you are close to a threshold, it's worth discussing with your employer to see if they operate any salary sacrifice initiatives. Another way is via charitable donations, better to put your money into an initiative of your choosing than the tax coffers (at least then you get to see what you are influencing!). These are just two means of legal tax avoidance, read this article on Income Tax Relief which outlines other Legal Tax Avoidance schemes or you can read more on Salary Sacrifice here. It is important your understand when certain tax thresholds will be reached. The table below shows a list of the more common Tax Thresholds are set for the 2014/15 tax year, they typically change every April so please check the tax threshold if reading this after April 2015 (we do publish the latest figures, as do HMRC). As a rule of Thumb, there is typically a big tax kick every £10k those some of these are phased rather than stepped changes. When viewed as a table is pretty clear that the tax man has his eyes well and truly set on your earnings. The Top 10-15% of UK earners are in the £50k + bracket. In America, Married couples can combine their personal allowance, this mean that stay at home Mums/Dads don't get penalised for raising their children. What a great way to recognise and endorse marriage and the family unit. If adopted in the UK, that would mean and extra £2k per annum for millions of families. Due to the scaled income tax system, the more you earn, the more you have to earn to take home the same money - bonkers! Tax evasion is allegedly responsible for billions of lost treasury revenue though the same could be said for failed treasury and NHS software systems! The truth is that no one really knows what is lost on Tax Evasion each year and Bad Government spending is for another conversation I guess. It is worth highlighting that if there were no tax evaders and well run and accounted government projects/budgets we would all be paying less tax (or at least facilitating another 10% pay rise for our hard working electives!!!). A fair tax system is essential, as is correct and appropriate utilisation of our taxes. Poorly engineered tax systems make it inevitable that some will try to cheat the tax man. For most of us though, we just want fair taxes. We want to pay what's due and forget about it - that is making tax less taxing! What makes tax taxing and unfair is hidden tax avoidance schemes. Just get rid of them, introduce a flat tax scheme that fair for all and watch the tax revenues grow. Tax avoidance: Do it! In fact, HMRC, you should be making tax clearer and simpler so that avoidance is easier and fairer for all. Tax evasion : Don't do it! Tax evaders are bad for the economy and are generally sticking their fingers up at society. Have your say, join the conversation on Facebook, what are your thoughts on tax avoidance and tax evaders.